Consultative leadership is one of the leadership traits under the Bass and Colleagues’ Five Styles of leadership. Consultative leadership is task oriented, and focuses on the end result almost as much as the directive leadership style. 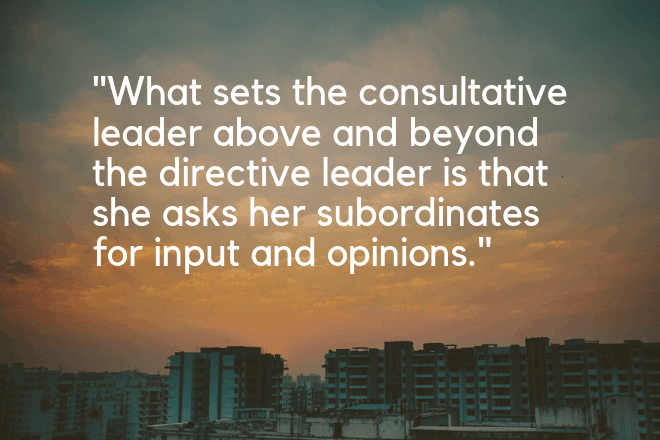 What sets the consultative leader above and beyond the directive leader is that she asks her subordinates for input and opinions. While she ultimately has the authority to make the final decision, she is willing to listen to the viewpoints of her team. This is often because the consultative leader is in a position where she does not know the whole situation and she requires the views and opinions of the team on the ground that she may be able to make an informed decision. One example where this could happen is in a large corporation in a specialized industry where the product experts are the engineers and scientists working on the front lines. Another reason a leader can choose the consultative leadership style is because she is humble enough to listen and consider all views before coming to a final decision. Despite having the complete authority to make a final decision, she chooses to listen to the team because she knows that she does not know all the relevant information. As a result, the quality of decisions she makes will often be far better than if she would have made without consulting her team. To be an effective consultative leader, you need to create a culture of speaking up in your team. If your strongest leadership traits is directive, then the change would not be immediate. Imagine an authoritative army general suddenly asking his sergeants about how to fight a war. His sergeants will keep quiet for a long time before they decide its actually safe to speak up. The reason is many people are afraid of being criticized or looking stupid in front of their boss. Because of this fear, the more comfortable approach is to simply keep silent and agree. While this seems to make work easier in the short term, the leader loses out on valuable advice or information that she could have otherwise gotten would had his team spoke up. Creating that culture of speaking up should be that first step of changing your personal leadership traits. 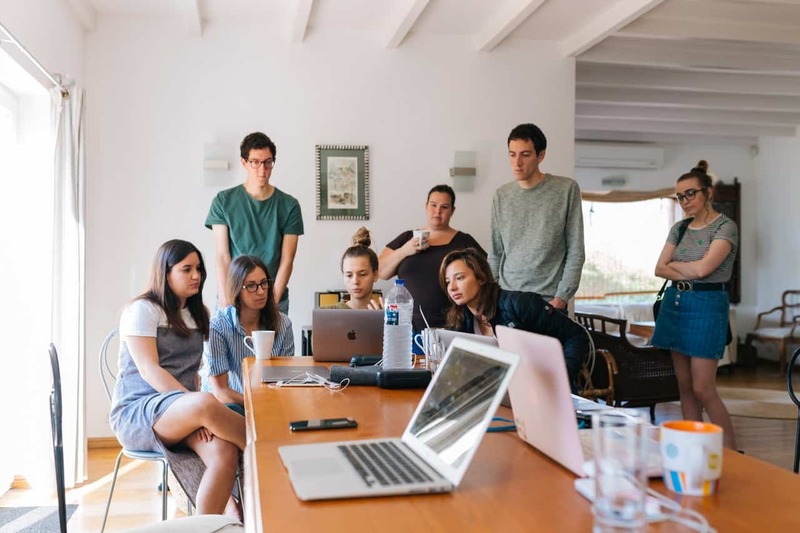 The second step is to learn effective facilitation skills.We’ve written more about how to help your team feel comfortable speaking up in this article. Good facilitation saves you a lot of time and helps you achieve the best results through the collective and collaborative thinking of the group. In his book The Ultimate Sales Machine, Chet Holmes devotes a large section to advice on how to executive effective meetings through improved facilitation skills. The results of these meetings often result in improving systems and processes and help to make informed decisions. The directive leader tells his followers what to do, and how to do it exactly. He specifics standards required of his followers and exercise firm authority over them. The participative leader puts himself as a member of the team and discusses possible decisions with the team. He seeks consensus before coming to a decision and everyone is supposed to take ownership in the final decision. The negotiative leader employs a more political approach to leadership. He has a personal interest in his decisions and he uses incentives to entice his followers to do certain things. He takes back seat toward decision making, and allows his team to take their own course of action. He only sits down together with the team to discuss possible decisions that could be adopted. The post Consultative Leadership | Definition & How To Be A Consultative Leader appeared first on Leadership Geeks.